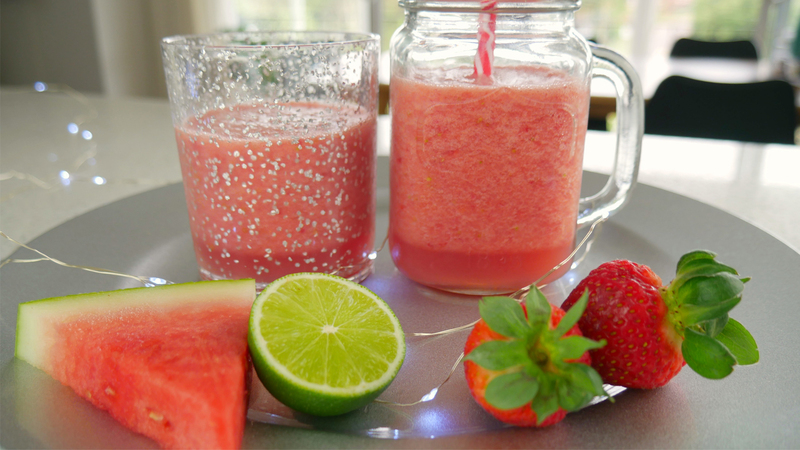 There is nothing quite like watermelon to cool the body temperature right down and quench your thirst. 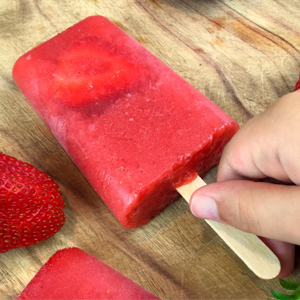 Since we are all about the family at Family Garden Life, we came up with two amazing watermelon treats for both the kids and adults. 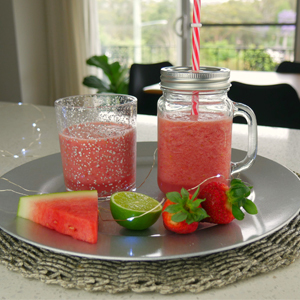 To keep your family hydrated how about trying our watermelon treats – one is a frozen watermelon and strawberry drink. Once the watermelon has frozen put all the above into a blender and process until smooth. Pour into a cold glass and drink. There is nothing better to keep you cool. If you’re in the mood to party, why not add some white rum to sip at the end of a long hot summer day. 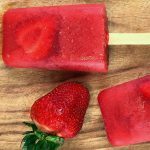 Ice lollies are a must on a hot day and these will be sure to have your kids running to the freezer for more. The best part is, because they are homemade, you know what all the ingredients are. 500 g watermelon peeled and cubed (This should give you about 250g to eat). 250 g strawberries washed with top removed. Keep a couple to slice up to place inside your ice block moulds. Blitz all of the above in a blender and then pour into your ice lolly moulds. Insert a couple of slices of strawberry in each at the edge so that once it is frozen you can see the strawberry slices. Wet mould before removing to loosen the blocks. A block that’s full of goodness means you no longer have to worry when your children come running in and sticking their heads in the freezer to see what treats they can have. I hope you enjoy these recipes as much as we do. They’re not only tasty, but they also provide an excellent source of Vitamin C.